Unlike the home value analysis, the results of our income analysis suggest that, as a whole, income levels seem to be rising within the study area. 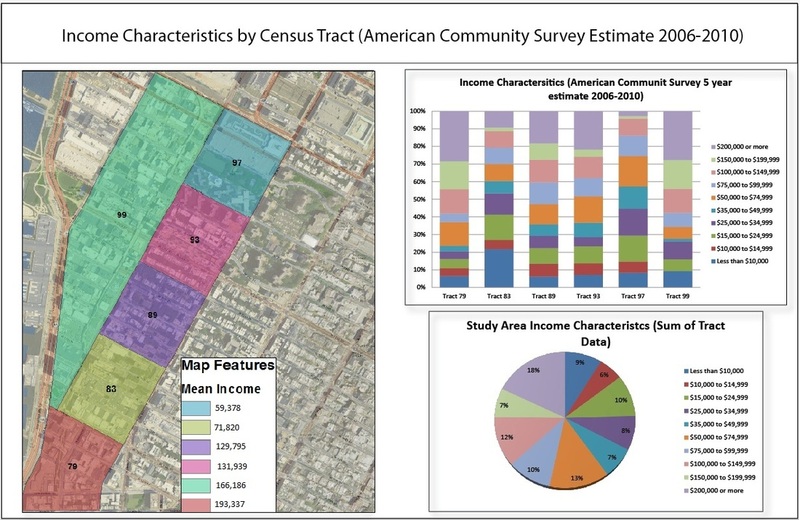 Again, data from the 2000 Census Summary file were compared with the 5-year American Community Survey (2006-2010). 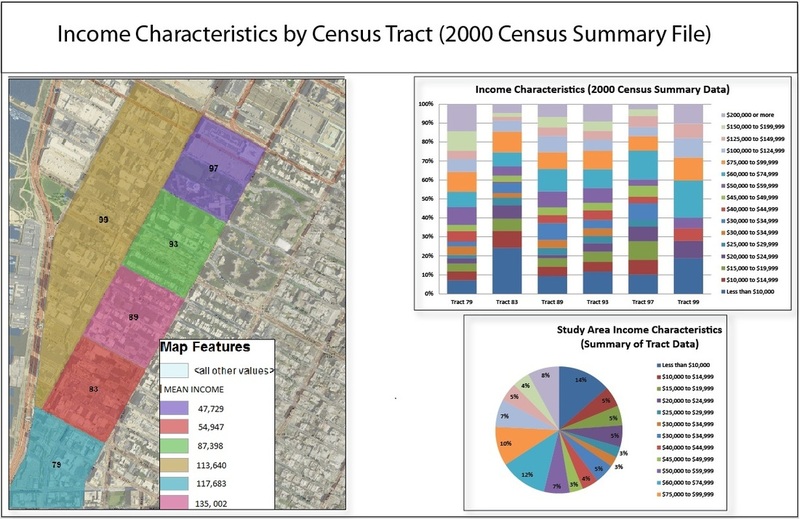 As demonstrated by figures below, most census tracts experienced an increase in mean income. In addition, the pie charts clearly reveal a larger proportion of high income earners in the most recent survey. Consequently, this data supports the idea of post High Line gentrification within the study area over the last decade.